Counting is not my forte. It’s the challenge that would get I and my partner kicked off of an episode of Amazing Race. Clearly this counting impairment runs deep and makes a real, written pattern much more difficult than it really is. 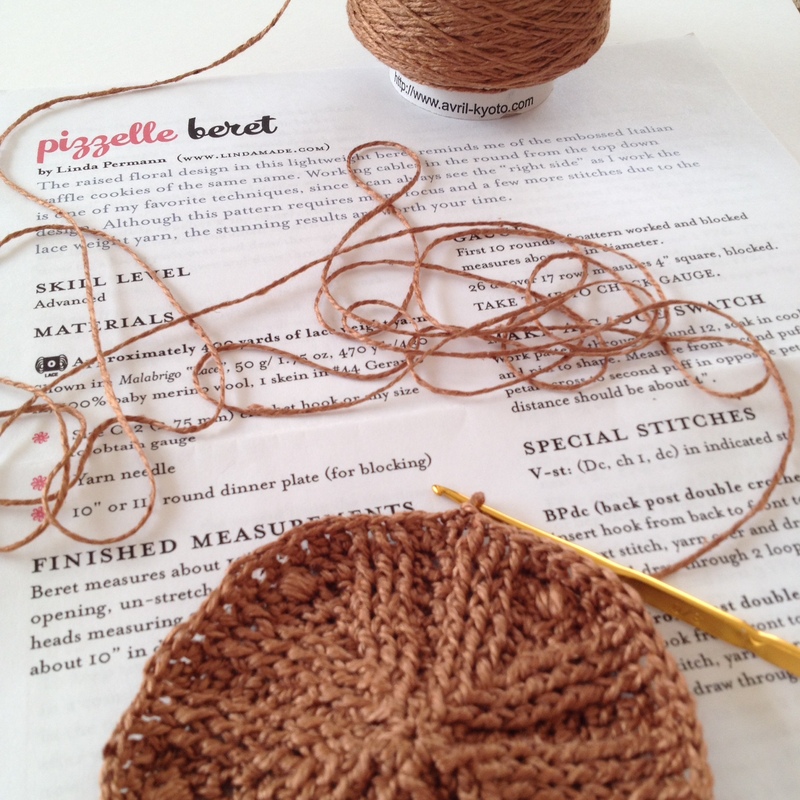 I’m on my 3rd attempt to complete the beautiful Pizzelle Beret by Linda Permann. The first time my swatch was too big, the hook size I used was a wee bit larger than recommended. The second attempt was a little better and I think each row I finished I had to rip out at least once because I missed one simple, little, “2dc in next dc,” that created count errors when working the next row. After completing Row/Round 9 for the second time I realized that I don’t have enough repeats! I have no idea how I only have 5 repeats instead of 6? So now what do I do? Rip it out again and try for a 4th time? 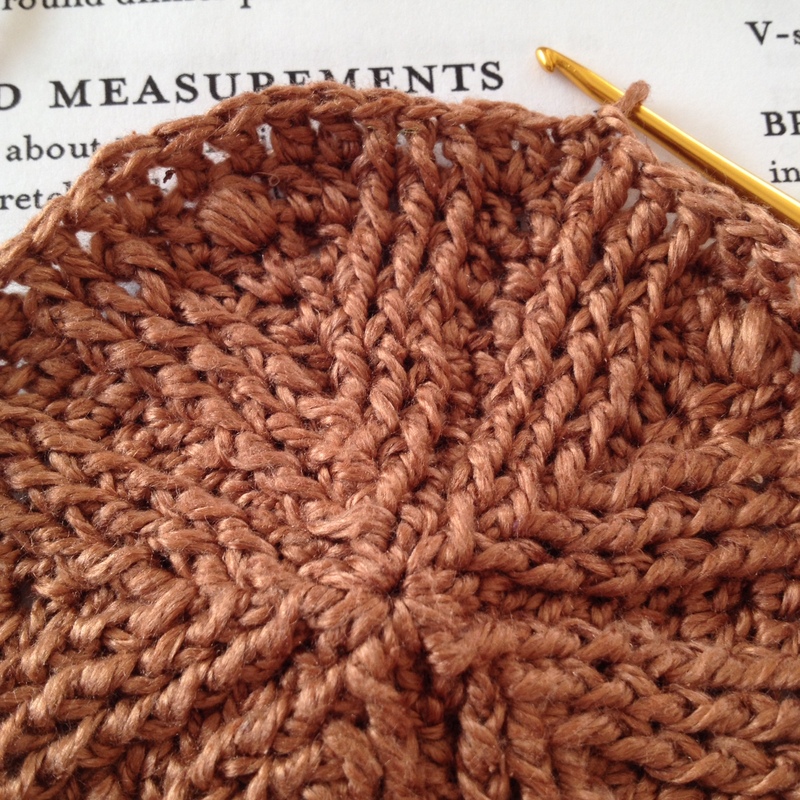 But the swatch measures correctly with the 5 repeats and finally using the correct hook size. Adding in the 6th repeat will make the beret swatch too large. So, as usual, I’m doing my own plan. Not because there is a problem with this clearly, well-written pattern, but the thought of starting over again is well, just plain demoralizing. I would really like to get this beret done. Besides, I’m curious to see where this “Sand Dollar Variation” is going :) Wish me luck!